By Singyin Lee in Gadgets. Updated on August 3, 2016 . Do you take and post photos of yourself, family and friends, and pretty much about your everyday life a whole lot? Where do you store your photos when you are done? If you want a more tangible way of keeping snapshots of your life, rather than lose your photos to social accounts or worse, to cloud storage, why not print it out on the spot with Prynt? 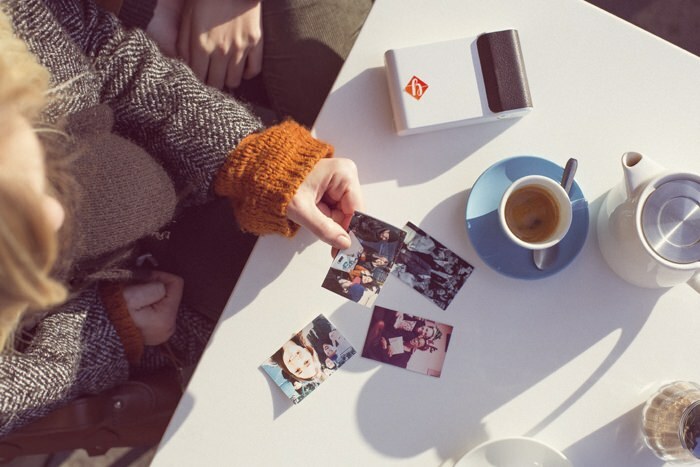 Prynt is a concept that is perfect for the selfie generation. 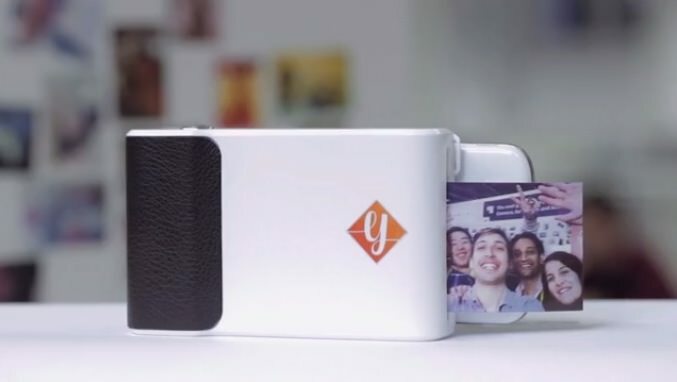 It is a camera case that lets you print your photos anywhere you are – in just half a minute – without the use of Wi-Fi, bluetooth or any other wireless technology. 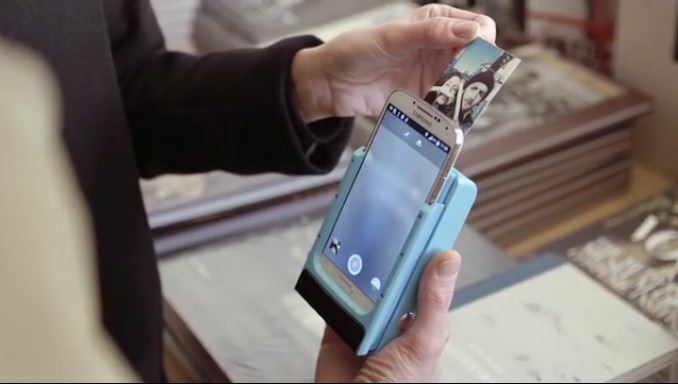 Just slot your phone into Prynt, take your snapshot then print it out. You can also print photos that are already in your phone gallery or those you have uploaded on your social accounts. The app also comes with filters and frames, if you are into those sort of add-ons. Each photo printout is about 2 inches by 3 inches and is printed on ZINK (Zero-Ink) paper. This keeps the camera case light; it’s only around 0.49 lbs (225 g) without your phone slotted in. Prynt is compatible with the iPhone 5, 5c, 6 and Galaxy S4 and S5, and if you ever switch to another (supported) phone, all you need to do is get a new dock adapter, rather than a whole new camera case. The team is looking into supporting more phone models in the near future. Prynt also comes with a fancy augmented reality app. Every time you snap a photo with Prynt, it takes a short video of the process and uploads it to a cloud storage. This video will be triggered whenever someone scans that photo you took with the Prynt app. What they will see is the few seconds right before that photo was taken. Prynt comes with a separate battery, which is chargeable via USB. Thus, it won’t drain your phone but you can expect to get only about 20 prints from every full charge. Prynt takes 90 minutes to fully charge. It also can carry 10 paper sheets only, so keep your refills nearby for reloads. Speaking of which, every time you want to refill the paper sheets – because 10 printouts can’t really last long – you will need to remove your phone, put in the paper sheets and slide your phone back in. It’s a little disruptive but you can always do all the photo-snapping first, and all the printing later in one go. 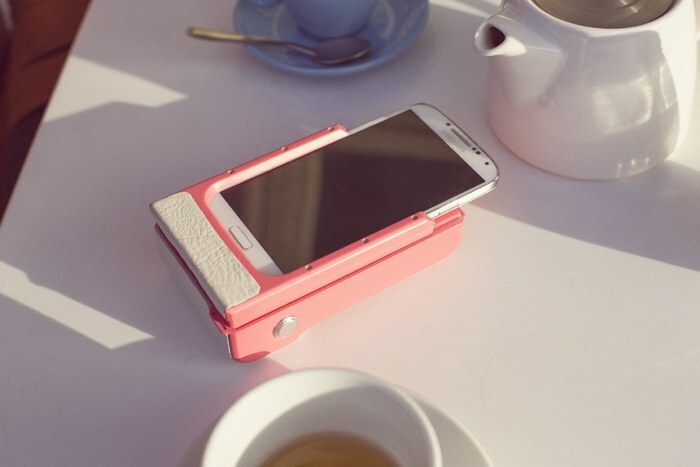 Prynt is available in pink, blue, black and white and can be backed at their Kickstarter page from $99. Their initial goal of $50,000 has been met many times over. While the rewards may vary, you can expect a pack of 10 sheets paper and a mini USB charger with each case. To top up on paper sheets, every $25 spent gets you 50 pieces. Additional shipping costs may apply for international backers. The early bird batch will ship in August and the classic batch in October.